…With the ebbing of the regulatory uncertainty, companies that provide drone services are looking to expand, with many eyeing opportunities in the energy industry. Among them are the Houston startup Arch Aerial. Arch Aerial was founded in 2013 by Ryan Baker, then a student at the University of Texas, and three partners, two of whom were also UT students at the time. Baker, 27, who majored in archaeology, said he became aware of the potential for aerial drones while on a dig in Italy’s Tuscany region. Baker watched the team of archaeologists collect information about the location of artifacts by taking photos from helium balloons and correlating them with GPS data. He had an epiphany. He set out to start a company aimed at building low-cost drones to collect inexpensive and repeatable data. Arch Aerial’s first customer was a university for which Arch provided equipment. In 2015, Baker and his partners realized the pipeline industry was a likely customer for their services. 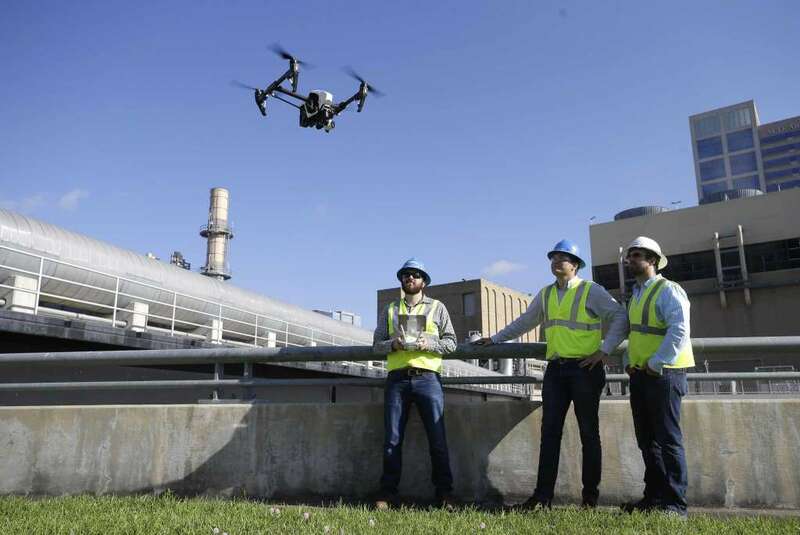 Arch Aerial drones conduct right-of-way inspections, which gather information about topography and alternate routes for pipelines and transmission lines. Once construction gets underway, drone surveys collect more data and use 3-D modeling to pinpoint the placement of each section of pipe. After construction, the drones document that companies have replaced grass, restored eroded areas and repaired other environmental damage.